The purpose of this textbook is to provide a well-rounded working knowledge of both climate change and environmental sustainability for a wide range of students. Students will learn core concepts and methods to analyze energy and environmental impacts; will understand what is changing the earth’s climate, and what that means for life on earth now and in the future. They will also have a firm understanding of what energy is and how it can be used. This text intends to develop working knowledge of these topics, with both technical and social implications. 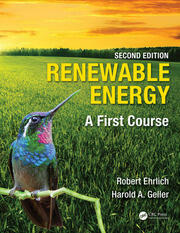 Students will find in one volume the integration and careful treatment of climate, energy, and sustainability. Understanding the Environment: Resources, Climate, Energy, and Sustainability. Section I The Earth’s Climate Balance and Consequences of Climate Change. The Climate System. Greenhouse Gases. Effects on Ecosystems. Sociological and Psychological Considerations to Climate Change. Geopolitical Considerations. Public Perception and Economic Issues.Climate Change Mitigation Options. Section II Energy Sources, Their Future, and Sustainable Living. Energy: Basics, Concepts, and Quantification. Nonrenewable Energy Resources. Renewable Energy Resources. Consequences of Energy Sources on the Environment. The Geopolitics of Energy. Applying Technology to Sustainability, Part I: Urban Planning and Green Buildings. 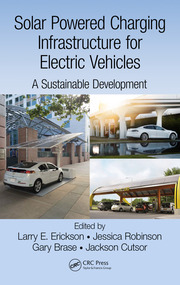 Applying Technology to Sustainability, Part II: Smart Transportation, Alternative Fuels, and New Fuel Technology. Sustainable Agriculture and Industry. Green Careers and Ecotourism. Your Home and Backyard. The Sustainable Lifestyle: Low Impact and Healthy Living. Making Changes for the Benefit of Future Generations. Glossary. Periodic Table. "This book points the way to solving climate change, not it a naive way, but recognising it is a multi-faceted problem framed within many other environmental and societal issues. It is a great read and holds the readers hand through the complexity, encouraging us to make up our own minds." "Introduction to Energy and Climate: Developing a Sustainable Environment covers many different aspects of sustainability which would be helpful for undergraduate classes. The student will be exposed to many differ dimensions of sustainability and the climate." 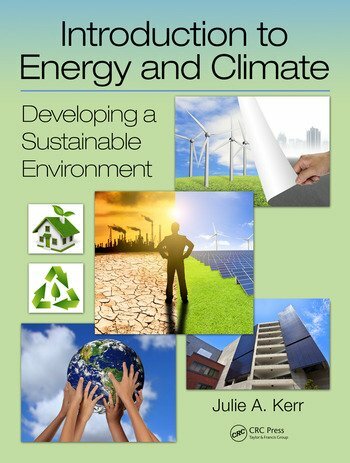 "In the crowded market of books on energy and climate, this offering from Julie Kerr stands out as an accessible and wide-ranging offering. The book covers all aspects of energy and climate that one would expect to see in such a text, and the author has an ability to communicate, which means that the book should have a very wide appeal. Topics span food, population growth, urban planning and the science behind climate change through to economics and geopolitics. It is rare to see such a wide coverage in a book of this type, but is very much in the spirit and practice of sustainability. I can highly recommend it; especially for those wishing to locate the climate change debates within a broader sustainability context. After all, this matters to us all, whether we like it or not."